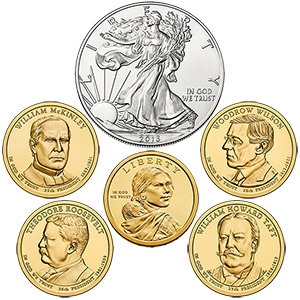 Pricing of the set is listed as $44.95, plus the US Mint's standard shipping and handling charge of $4.95 per order. No mintage, household, or product limit has been established with customer demand determining final mintage. 2013-D Native American $1 Coin - depicts a likeness of Sacajawea on the obverse of the coin with a reverse emblematic of the "TREATY WITH THE DELAWARES"
As indicated above, the Presidential $1 Coins are each struck to uncirculated quality at the US Mint's facility in Philadelphia. The Native American $1 Coin was produced at the US Mint's facility in Denver with the Silver Eagle struck at the US Mint's facility in West Point. The six coins of the set are attached to an attractive display folder which includes the specifications of the included strikes. 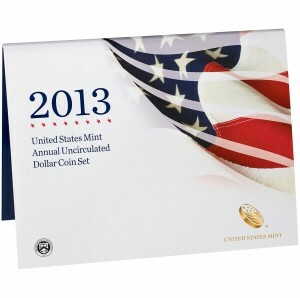 When released, the 2013 United States Mint Annual Uncirculated Dollar Coin Set may be purchased directly from the US Mint for the aforementioned $44.95. 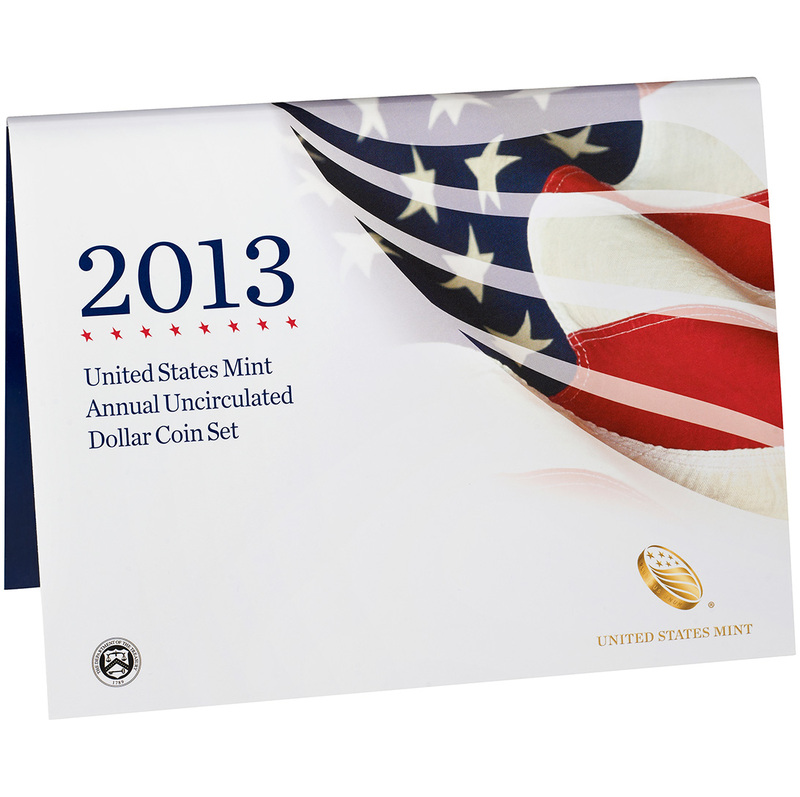 Orders are accepted via the US Mint's website of www.usmint.gov or by calling 1-800-USA-MINT (872-6468).